What is the most hated household chores of all? Doing the laundry of course! well now you can get the job done with a robot. 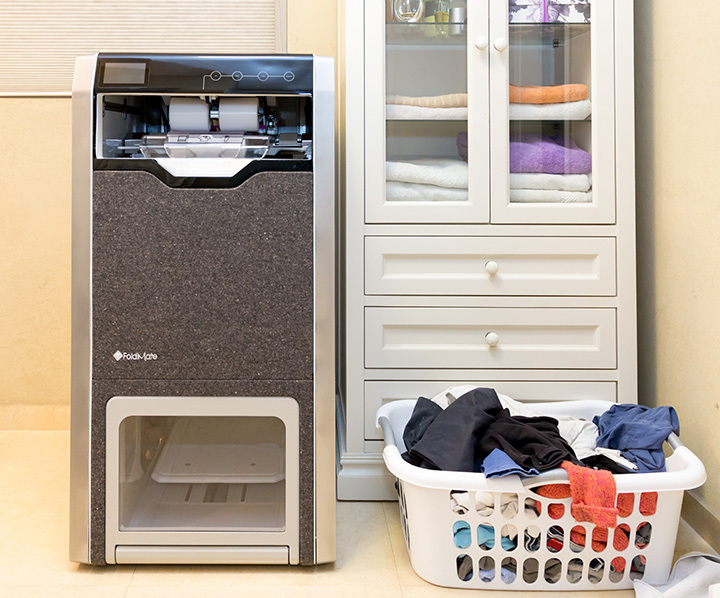 The The FoldiMate can fold shirts, buttoned-up blouses, pants from children’s clothes to adult size XXL and also fold towels and pillowcases, though socks and undergarments are still strictly off the menu. The clothing is fed into a slot at the top of the machine. 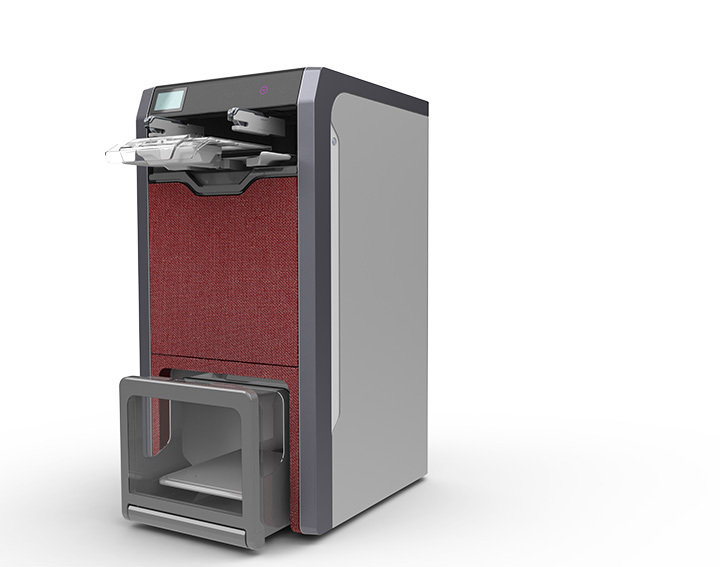 After making their way through the machine's innards, folded garments are soon returned in a stack through a window in the bottom of the device. 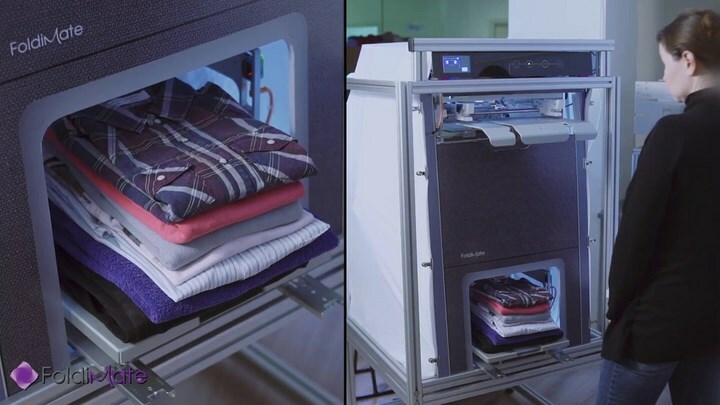 The device will get your laundry done within 4 minutes.The Smart robotic technology automatically adjusts the folding method based on preferences, item types, and sizes.